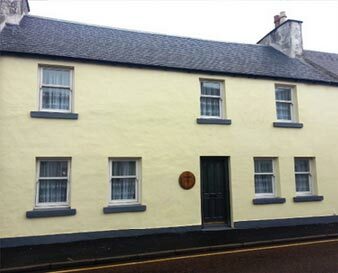 Bowmore holiday home is right in the heart of Bowmore at number 7 Shore Street. 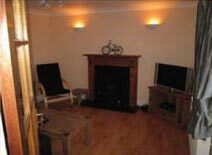 It is 4 bedroom traditional stone built house is found next to the vetinary surgery and opposite the 'Holy Coo' bistro, so you really can’t miss it. 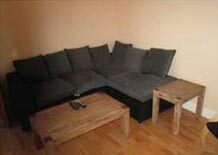 The house was completely renovated in the second half of 2013 with new furniture throughout. The ground floor double bedroom also boasts a new en-suite shower and toilet, which was completed in January 2014. So, if you want to bring some­one who has difficulty with going up and down the stairs, this will provide the ideal place to stay. 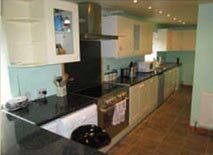 We are not claiming the ground floor accommodation is suit­able for anyone who is permanently wheelchair bound but it would suit elderly people and others who may have difficulty with stairs / walking, and would really appreciate en-suite facilities, without being excluded from the lounge and kitchen.